The history of Pasta almost gets lost through time. Many centuries before the birth of Christ, Greeks and the Etruscans were already producing a product very similar to what we now call pasta. The first production mentioned can be dated back to 1000bc, within ancient Greece. The Greek word “laganon” was used to indicate a large sheet and plate of pasta with oil, which was then formed into strips. From “laganon” we derive the Latin term “laganum” which Cicerone quotes within his works. 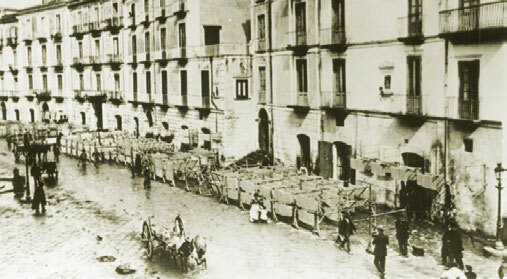 “Lagane” and sheets of pasta conquer the empire and as often happens, people adapted the product to their own needs. 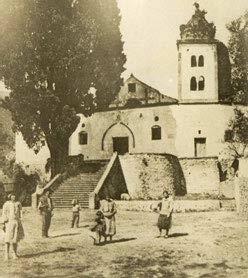 The first two certain dates regarding pasta in Italy are: 1154, when the Arab explorer Al-Idrin mentioned “a flour dish made into strings,” within his touristic guide, which was known as triyah (from the Arabic itija, which still exists within the modern language from the tari roots = humid and fresh.) The next date is 1279, when the Genovese notary Ugolino Scarpaa listed the belongings of a sailor from Naples who had passed away, including a pot full of macaroni. We know that Marco Polo returned from China in 1295: therefore, the legend that it was he who introduced pasta is not true, especially as the “pasta” in China had little resemblance to the pasta made of flour within Italy. The Etymology of “semola”: from the Latin simla = wheat flour, which in turn derives from the Greek term “semidalis” which would most probably have come from Egyptian or another Mediterranean term but not Indo-European. From what we know it seems that it was the Arabs in the deserts who were the first to dry pasta in order to conserve it for longer, as during their long trips they did not have enough water to make it fresh on a daily basis. This led to the creation of cylinder shaped pasta with a hole in the middle to allow it to dry faster. The oldest documented case was cited in the cookery book by ‘Ibn ‘al Mibrad (9th Century). It tells the story of a typical dish to the Beduine and Berbere tribes, which is still used today in Syria and Lebanon. It is known as “rista” and is fundamentally dried macaroni prepared in a variety of ways, mostly with lentils. Bartolomeo Sacchi, known as Platina, historian and custodian of the Vatican’s Library, wrote recipes in 1474 commonly known as De Honesta Voluptate, in which he mentions using drying techniques to conserve pasta. He describes how the pasta is dried under the sun and can last for 2 to 3 years. Gragnano’s dry climate, with the source of the spring and the breeze coming from the mountains on one side and the sea on the other, gave the ideal location for the production of the First Real Authentic Pasta as early as the 1400s. 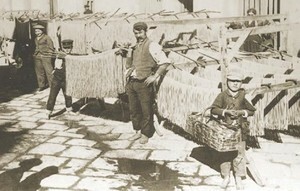 For centuries pasta was dried outside in Gragnano’s unique microclimate. In the following years, when the climate was more changeable, the Pasta was dried within buildings, which were also used as stables. 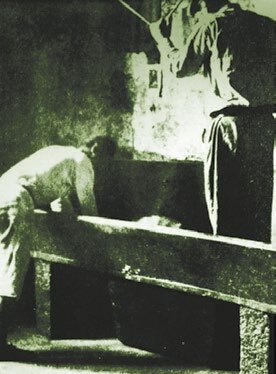 It is here that the first basic drying machines were used. Then in the 1500s the pasta makers of Gragnano started to do what the bakers and millers had been doing for centuries: pooling together their expertise. This is when we get the first consortiums. The famous “partner” to pasta, the tomato, arrived in Italy from South America in 1554, however production on a large scale only started in the 17th Century. Therefore Pasta with tomato has “only” been with us for 4 centuries. In the 15th Century there were so many pasta sellers that a Papal Decree in 1641 imposed a minimum distance of 24 metres from one shop to another. 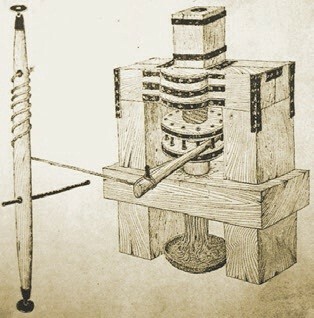 Until the second half of the 18th Century, the pasta makers mixed the semola and water using their feet. 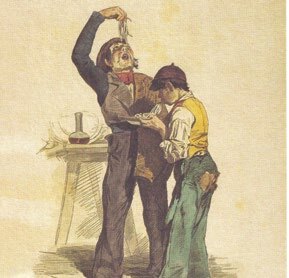 This method was used until Ferdinand II, King of the Two Sicilies from 1830 to 1859, gave the task of inventing a mechanical process to the scientist Cesare Spaddaccini. 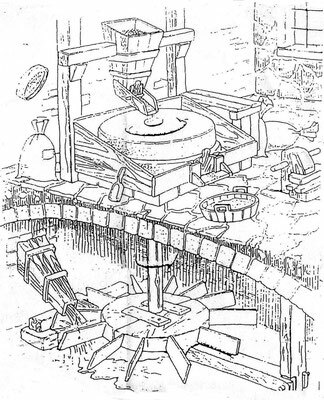 The first hydraulic torques appeared in 1870 and the process of mechanisation came about gradually. Towards the end of the century the process was more or less mechanical using machines powered by steam and hydraulic energy. The first machine to complete the whole process was patented in 1933. 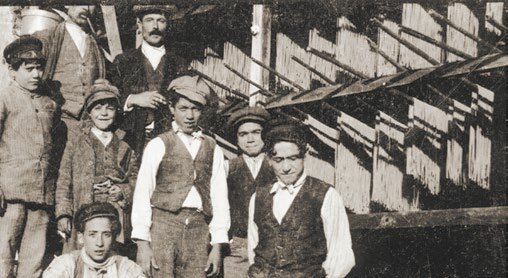 Even though the process has changed incredibly throughout the years, our Artisan production has remained the same. The product has stayed the same, a simple mix of durum wheat, semolina and water from Gragnano’s spring. While fresh pasta is prepared with wheat flour, in Italy, dried pasta is only made using durum wheat. Durum wheat and wheat are two types of grain which are the most used in the world. In Italy both are grown, the first predominantly in the South and in particular in Puglia, the second in Lombardy, Veneto and Emilia Romagna. The difference between the two is very important. Italian law stipulates that to produce dried pasta you must use durum wheat. This is because the durum wheat contains the gluten, which allows the dried pasta to hold together when cooked and to remain “al dente”.